Area residents looking to gain insight on Medicare Advantage plans are invited to attend an information fair. 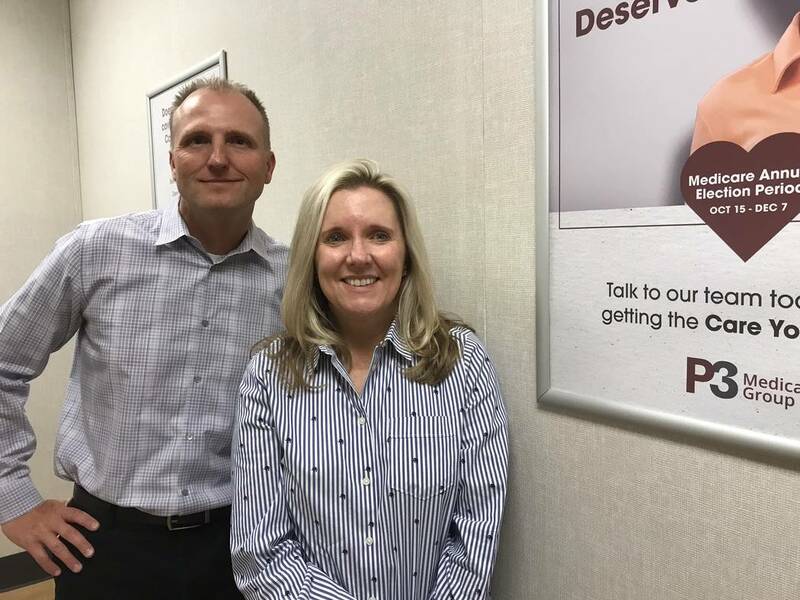 Jeffrey Meehan/Pahrump Valley Times Dr. Edward Harding, lead provider for P3 Medical Group's Pahrump clinic (left) stands with Dr. Tracy Wakefield, president of P3 Nevada Medical Group on Oct. 22, 2018. The clinic opened in October 2018 and was the first clinic the group had in Nye County. 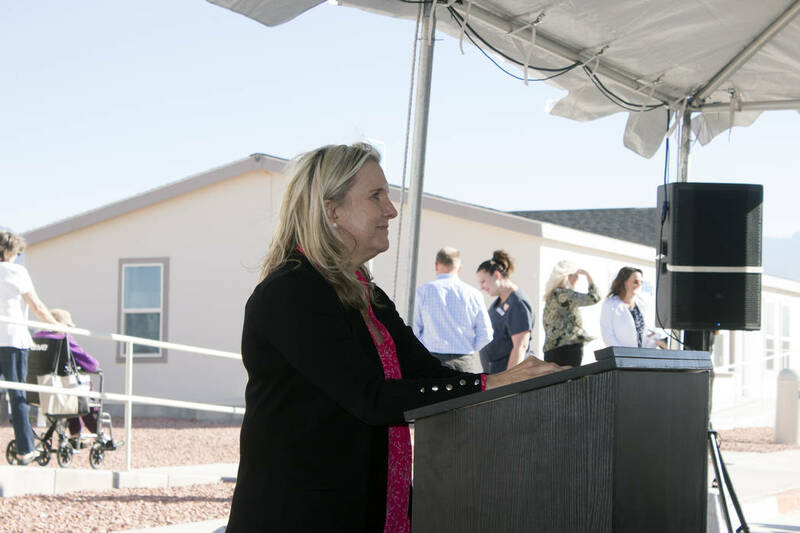 Jeffrey Meehan/Pahrump Valley Times Dr. Tracy Wakefield, president of P3 Nevada Medical Group speaks at a grand opening event for the group's new Pahrump office on Oct. 30, 2018. David Jacobs/Pahrump Valley Times Hometown Health, the insurance arm of Reno-based Renown Health, partnered with P3 Health Partners in 2018 to bring its Medicare Advantage Plan, Senior Care Plus, to Clark and Nye counties. The Senior Care Plus plan, available in several areas in Northern Nevada, launched in Nye and Clark counties in 2019. 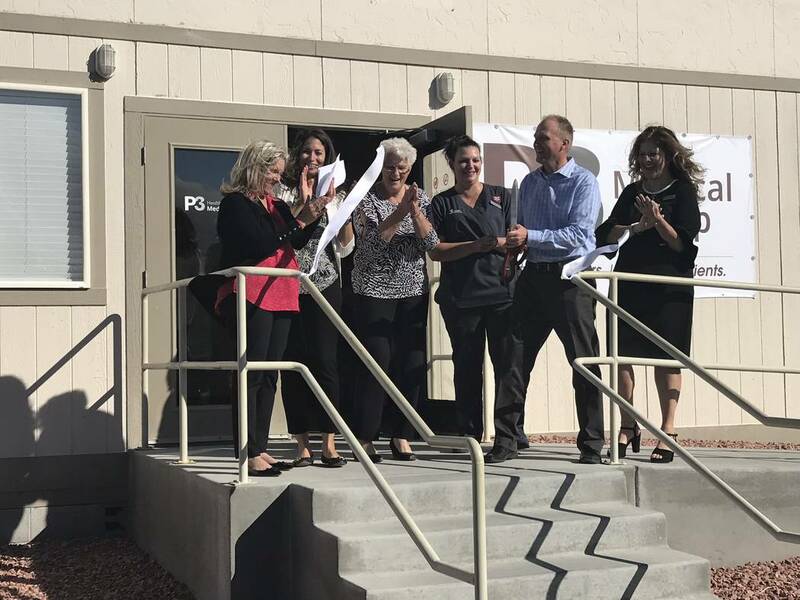 Jeffrey Meehan/Pahrump Valley Times P3 Medical Group opened its doors in October 2018. The group, along with some of its affiliates, will be hosting a health fair for people to learn about their services and health plans, along with giving the community a chance to meet with providers. P3 Medical Group and other health care providers in Pahrump will set up shop during the P3 Nevada Health Information Fair at the NyE Communities Coalition from 11 a.m. to 1 p.m. on Thursday. The coalition building is located at 1020 E. Wilson Ave. in Pahrump. Dr. Edward Harding, of the P3 Medical Group in Pahrump, explained the event will allow patients to meet with P3 Medical Group’s providers during the fair. The fair will also bring awareness to the community about a new open enrollment period for individuals who chose a Medicare Advantage plan during open enrollment from Oct. 15 to Dec. 7, 2018. These individuals can switch, once during a period from Jan. 1 to March 31, to another Medicare Advantage plan or to traditional Medicare. Harding said this is the first year where patients have had this option. In addition to meeting some of the local providers in Pahrump, attendees will also get to learn how to get the most out of their current Medicare and Medicare Advantage plan and enjoy food and drinks, according to literature about the event. The P3 Medical Group providers that will be at the coalition building on Thursday includes Harding and Schadrey Bonds, a certified nurse practitioner. P3 Medical Group providers will be joined by providers from Goodheart Medical Group and Reflections Healthcare, both affiliate providers in regards to P3 Medical Group’s Medicare Advantage plan it works with: Senior Care Plus, a product of Reno-based Hometown Health—a not-for-profit health insurance company. 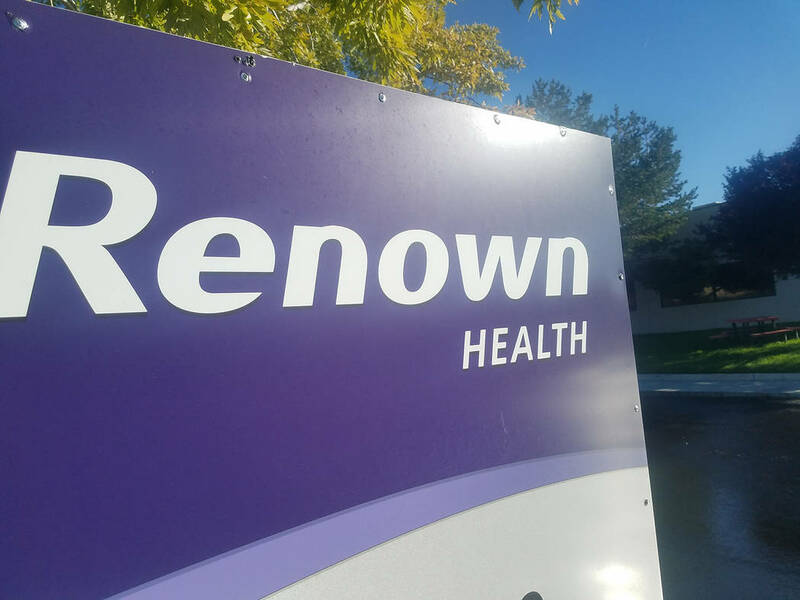 Hometown is the insurance arm of Renown Health and services more than 160,000 members in Northern Nevada. The company partnered with P3 Health Partners in 2018 to bring its plan to Southern Nevada in 2019, including in Clark and Nye counties. Medicare Advantage plans have several benefits above traditional Medicare plans. P3 Medical Group and other providers in Pahrump will be available during an information health fair on Medicare Advantage on Thursday. The event lasts from 11 a.m. to 1 p.m. at the NyE Communities Coalition building at 1020 E. Wilson Ave.
For more information or to RSVP, call P3 Medical Group in Pahrump at 775-505-0810. Attendees can also RSVP online at P3NV.org.